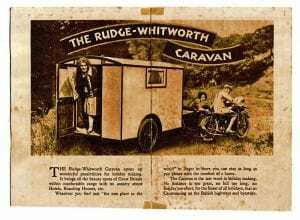 Holidays with a Rudge-Whitworth outfit and caravan – for 130 guineas the lot brand new! 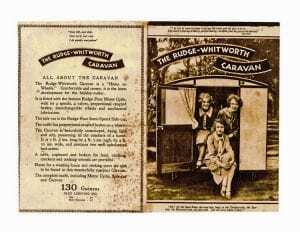 It was nice to see October’s front cover picture of the girls on a caravan holiday with their wBSA boat outfit, and I wonder if they knew the girls seen holidaying in the accompanying pictures from an old brochure advertising the Rudge-Whitworth caravan? 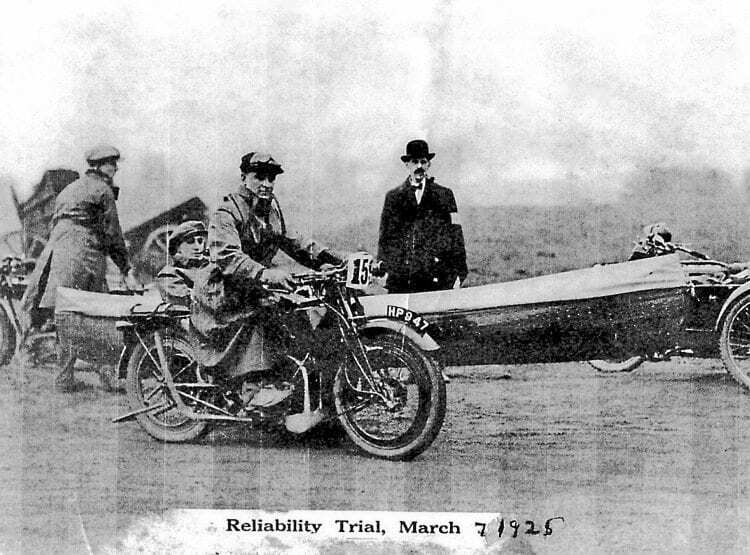 David McMahon also owns the Rudge (HP 947) and canoe seen as No 159 in a reliability trial in March 1925. What a wonderful advertisement for the Rudge marque as David’s complete ensemble, which cost 130 guineas in 1927, is captured in all its glory. 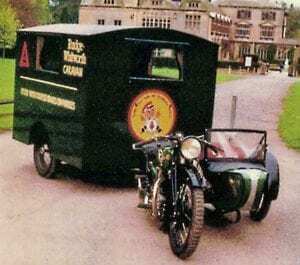 I have a 1927 500cc TT Sports Rudge combination along with the only remaining such caravan known to exist. The caravan was marketed as an extra for the combination, and the entire outfit, including the caravan, cost 130 guineas, with £4 extra for lights. Three happy girls pose for the camera from the door of a Rudge-Whitworth caravan, which amazingly crammed two upholstered bed-settees, a table, cupboard and lockers for food, clothing, crockery and cooking utensils into its 7ft 3in long, 4ft 7in high and 4ft 10in wide dimensions along with places for a wash-basin and cooking stove. The Rudge was the last of the flat-tank models and the first to boast 8in drum brakes. The caravan’s seats converted very simply into a bed for two people, but alas it didn’t catch on. When I go to rallies, though, I can still carry another Rudge in it. I also have a 1925 Rudge with the canoe as seen in the picture. Two wonderful accompanying quotes about the open road, too small to see in the pamphlet images, read: “I go out of town in order to forget the town and all that is in it…The soul of a journey is liberty, perfect liberty – to think, feel, do, just as one pleases” – Hazlett, and “Oh for the Open Road, the road that leads to the Country-side, the Sea-side, the Mountain-side and the Lake-side. Let me tarry where I fancy.” A guinea, by the way, was the equivalent of £1.05. – Ed.